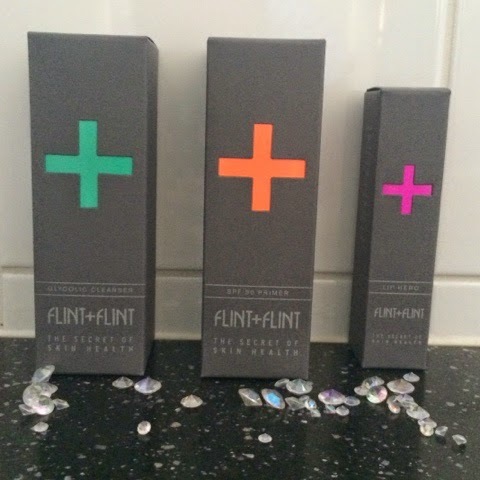 After trying a couple of Flint + Flint products a few months ago I became a massive fan. I wanted to share with you my thoughts on a few more of their range I recently received from www.beautycrowd.com. The products I have been using are: SPF 30 Primer, Glycolic Cleanser and Lip Hero. The cleanser is great to use for any skin types, you simply apply it to your wet face and leave for 1-2 minutes then rinse off. It has left my skin feeling extremely smooth without being too harsh. It has left my face looking brighter and my pores are less visible. The lip hero has been a godsend, the description is in the name. There isn’t much to say about this product, it does as its name suggests! My lips are so soft and feel in amazing condition after using this daily and it smells fab too. I really do love their packaging and the way each product is a different colour. It makes me want to buy the whole range just so I can create a rainbow in my bathroom!